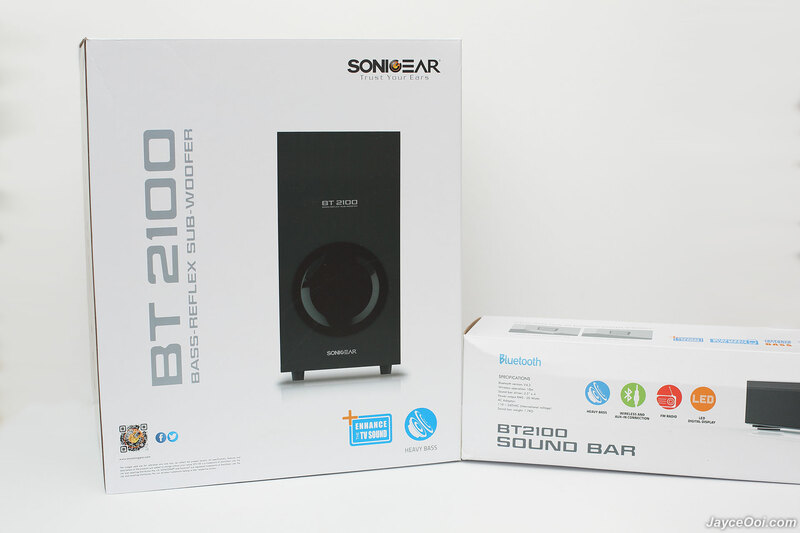 Both SonicGear BT2100 soundbar and subwoofer come well protected. Build quality is decent too. Solid housing for sure. 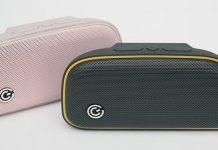 Besides that, there are remote control, stereo 3.5mm audio cable, AUX adaptor (3.5mm to RCA), power adaptor and user manual in the package. For your information, the remote control is very handy. And its infra-red range is excellent – easily reach up to 8m. More than enough for your large living room. SonicGear BT2100 soundbar is loaded with LED display in the middle. And 5 buttons to control – audio source, volume, track, play/pause and power on/off. 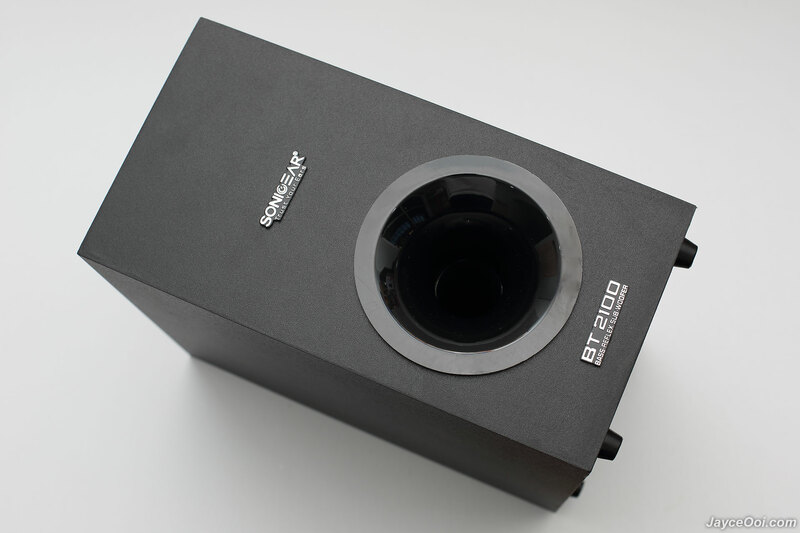 There are totally 4 x 2.5″ speaker drivers. 2 on both right and left channels. Protected by metal speaker grill as you can see. 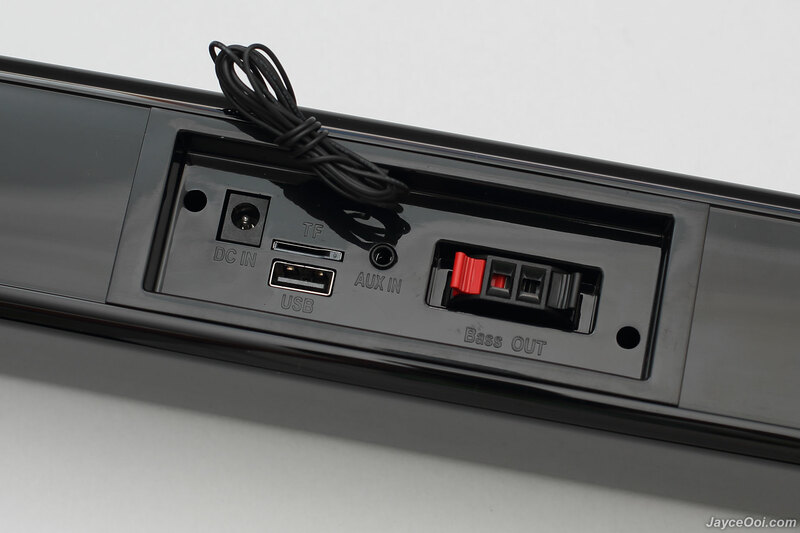 All the inputs and outputs are located at back. 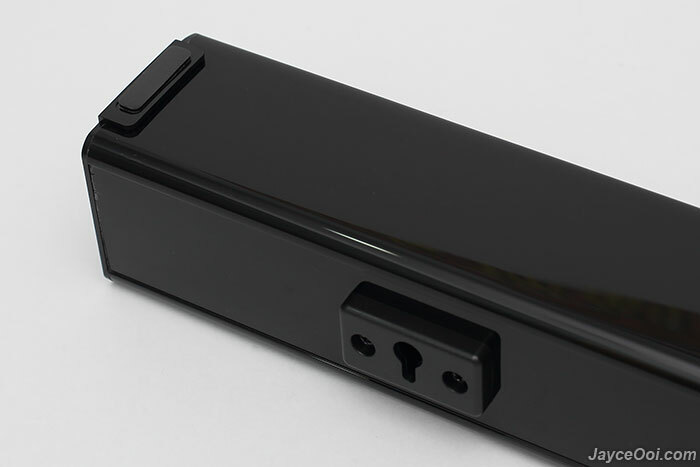 There are DC in port, micro SD slot, USB port, AUX in, external FM radio antenna and subwoofer output. There are wall holder too. Ease to attach this soundbar against the wall to save deck space. And 2 tidy anti-skid pads at the bottom. As usual, do refer to all the photos for its design. It’s wireless world nowadays. Who don’t use smartphone and tablet? 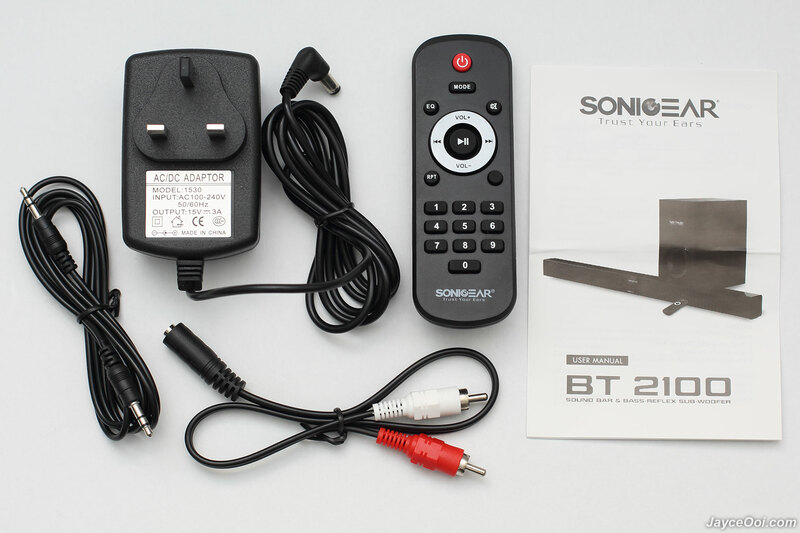 Therefore, SonicGear BT2100 includes Bluetooth 4.2 chipset for you and me. So that we can enjoy music, movie with our smartphone as well on top of TV. As for wireless range, it passed 10m straight sight line test easily. However, it manages to get connected up to 6m with obstacles like wall. No worry, still good for large living room as long as you don’t go to other room. And it has almost no lag between video and audio. That’s another plus. Yup, there is a clear LED digital display. It can show lot of useful information like audio mode, volume and equalizer. Let’s talk about FM radio first. FM radio reception is decent thanks to external antenna. Just adjust the antenna to get the best signal. As usual, auto scan feature is available. 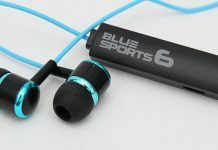 As for built-in MP3 player, it will start playing songs after plugged in micro SD card or USB flash drive. 6 equalizer modes are supported (Bluetooth too but no for AUX-in). For your information, SonicGear BT2100 remembers the last audio mode and continue to playback the last MP3 song when power on back. That’s great! 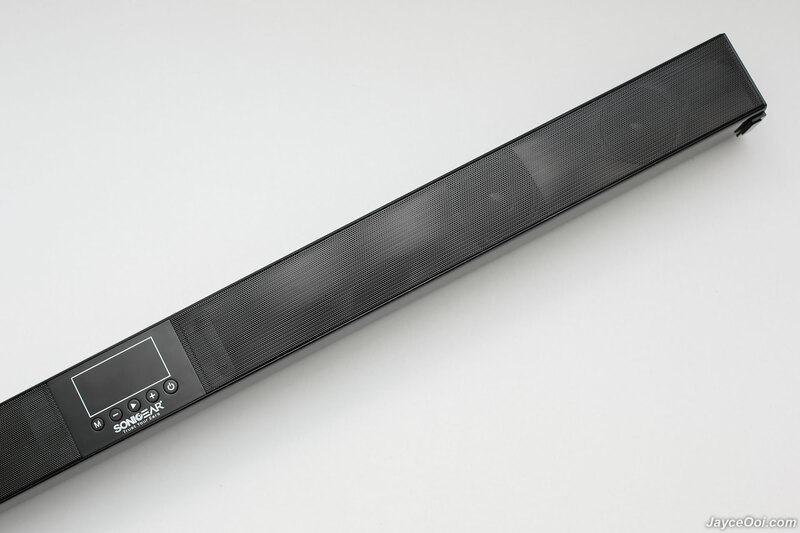 The soundbar is loaded with power output RMS: 20 Watts. Same apply to 5″ driver subwoofer. So make it total at 40 Watts. More than enough to blast in a large living room for sure. But don’t go over it (maximum volume) as sound distortion might kick in. On normal TV / movie playback, rest assures that it is working perfectly fine. Most of the TV built-in speakers sound flat and emphasize treble than bass. 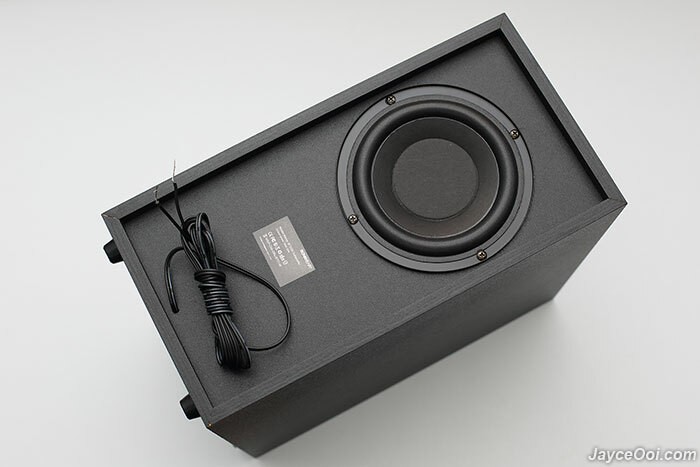 Or should I say lack of bass quantity due to the speaker design in order to keep TV as slim as possible. Yup, that’s where SonicGear BT2100 Soundbar with subwoofer shines. It brings lot of excitements especially on the bass department. Yes, it does have heavy bass. Movie scenes where there is booming here and there sound much more realistic with added subwoofer. 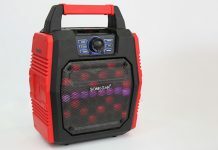 Overall, BT2100 has U shape sound signature where you have more booming bass and sparkling treble. And that brings more exciting listening experience. 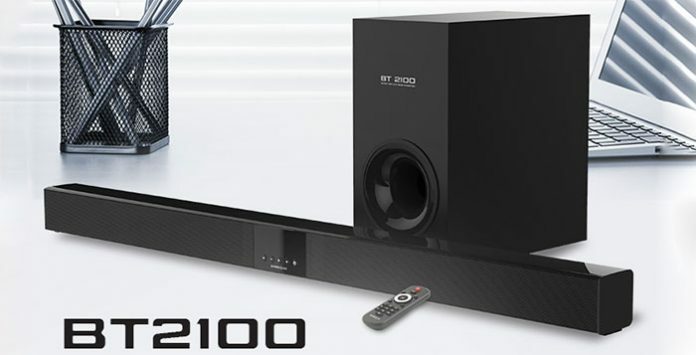 Want to level up your living room entertainment experience and does not break the bank? Be sure to check out SonicGear BT2100. 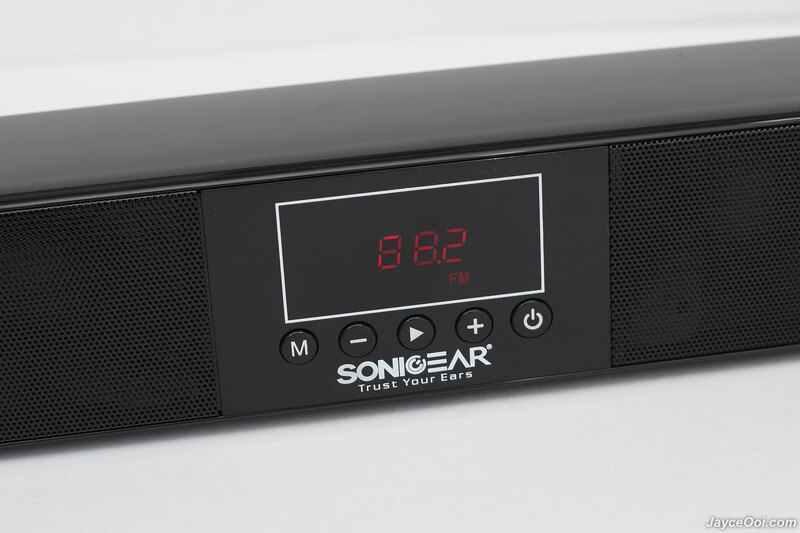 Enjoy lot features including Bluetooth, FM and MP3 player. 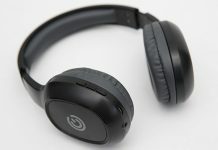 Exciting experience with nice U shape sound for the price. Interested? 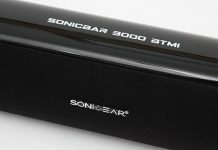 Check out SonicGear Website for more details. Get yours at Lazada.